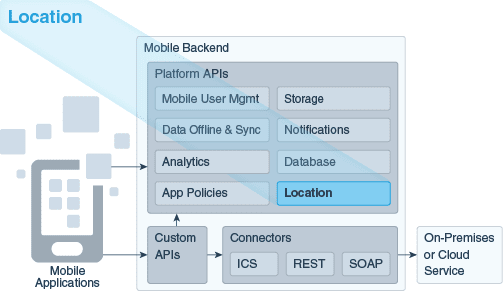 Oracle Mobile Cloud Service 16.2.3 (v2.0) has been released. This is the second major release in less than 1 year (Oracle MCS was released in July 2015). Although not every MCS instance has this new version, we can already see what's new in it. We are now able to present information based on the location or preferences of the user. Thanks to the Location API we can get information about the location devices, assets and places. A Location Device is any device that provices location services, for example a beacon. The second one is a Place that is a physical location that you can associate with a device. And the last one is an Asset. This is a mobile object that can be also associated with a location device. Oracle MCS provides a REST API using the following endpoint "/mobile/platform/location/devices"
Although I already had the chance to see what Oracle MAX offered back in January in a Workshop in Madrid, I was exited to see new features that MAX provides since then. Oracle MAX is a Rapid Mobile Application Development (RMAD) tool that help us to build applications easier and faster. This tool allows business users and non developers to build applications. It provides a development based on wizards where we can define the layout, selecting one from the predefined layouts and building each of the screens using components like lists, froms or charts consuming the APIs we have designed and implemented in Oracle MCS. At this point we have to download Oracle MAX application that is available in Google Play Store and Apple App Store and scan the generated QR. Who knows what features will bring future versions but it would be great if we will be allowed to download the source code to improve and extend those applications. Other new features included in this version are new Security Policies for REST Connectors (Oauth and JWT) and we can also allow the users to login into the apps using their Microsoft Azure Active Directory by configuring it as an identity provider. More posts will come in the next few weeks, stay tuned! You can get more information in this link: What’s New in Mobile Cloud Service?